Joe Batley’s recovery from cancer with the support of Bristol Bears teammates and staff, friends and family is truly a remarkable tale and one you may have missed during the Six Nations . As of late, there has been no shortage of doom and gloom within English rugby. But amongst England’s Six Nations disappointment and a lack of Premiership representation in the Champions Cup knockout stages, the incredible story of Bristol lock Joe Batley has been somewhat lost amongst the tumult. In March 2018 at just 21-years-old Batley discovered that, despite being a fit and strong professional athlete, he had Hodgkin's Lymphoma. This uncommon form of cancer attacks the immune system, spreading throughout the body's network of blood vessels and glands, eventually reaching the lymph nodes, which are responsible for detoxification; working alongside such vital organs as the liver and kidneys. This was a cruel twist of fate for the Portsmouth-born forward, who had made the move from Gloucester to Bristol the previous year in 2017. Batley had made this switch in hopes of improving his game time and furthering his professional career, only to have his first season with his new side cut short, ending with a potentially life-threatening illness. 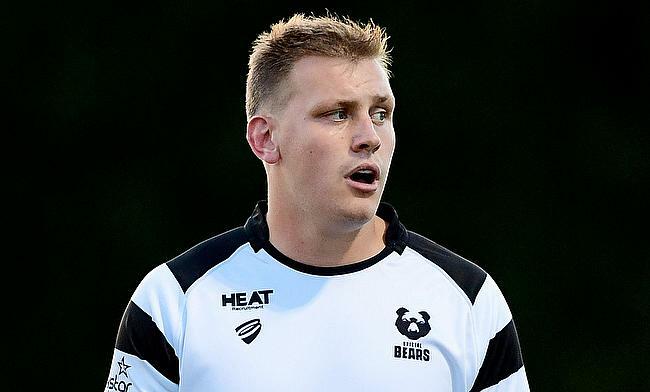 Outstanding news from the weekend with @BristolBears lock Joe Batley (@banterwithbats) confirming he is now in remission following his cancer diagnosis earlier this year. He continued: “I was pretty chilled. I finished training for the rest of the day, got an appointment set up for the end of the week and went and had a checkup. Once I was there, I was told it wasn’t an ingrown zit and that I needed to have a biopsy. Batley was diagnosed with stage two Hodgkin’s Lymphoma. The diagnosis naturally came as a shock to Batley, who had suffered no ill effects before the lump on his neck was initially discovered by a teammate. “It didn’t affect me at all,” he said. “Apart from the lump, there were no signs or indication that there was anything wrong. So it was pretty weird to feel very healthy and be told that I really wasn’t. Obviously, I was playing just weeks before. “When treatment started, that’s when I really started not feeling great and not feeling myself, which was weird, because that’s what was effectively making me better. Despite being diagnosed with such a serious illness and the prospect of undergoing the trials that come hand in hand with chemotherapy, Batley still spent time working out in the gym with the Bristol medical staff. Batley continued: “So during the chemotherapy, in the gaps between the treatments, I would have three or four days where it would just be me at home trying to do my own little thing. "So if it was to get up and go for a walk I’d do that. Then I’d try and build the walk throughout the days when I felt up for it for four or five days. Then I’d come in [to the club] and do like a 20-minute gym session. Nothing mental, just to kind of get me out. Then I’d see some of the boys, which was nice. “I tried to stay as positive as I could. What helped me loads was knowing that no matter how bad it got, just getting out of bed and going for a tiny walk was a huge win. ?? | Big day for this man. Challenging journey with obstacles along the way, but awesome to see you pull on the #BristolBears jersey in @premrugby. Do us proud, @banterwithbats ?? “Because it [chemotherapy] did knock me for six, especially the night after the chemo or the or the next day, I was very ill, I couldn’t really move. I felt so weak within myself and it was hard to deal with because that feeling of normally being really strong was taken away from me. “Then next thing I know, as the week and whatever got on and I was feeling a bit stronger, the chemo would hit again and I’d go back to square one and had to build up again. So, I kind of got a bit of a pattern going and got used to it. I knew that each time it was harder, but I always felt better afterwards with the next treatment. He can laugh about it now, but before receiving the welcome news that the three months of unforgiving treatment had been successful, Batley caused himself undue stress by missing the first phone call. "Basically, the phone call I was going to get was either I had to have more chemo for another three months or I was finished with the chemo and then it was just radiotherapy to get rid of the last little bit. “There was a lot on the line for one phone call. I missed the first call, which made me panic more, and then I couldn’t get hold of them. Finally they phoned me back and said ‘all clear, we can start with the radiotherapy now, come in on Thursday’. It was just a big sigh of relief and it was like, ok right, now we can start getting ready for the real hard work about getting me back into condition, getting back into shape to really push to try and get back into the Bristol team. "People say to me it must be so tough, but because there were so many people there to go through it with me, it made it so much easier, lightened the load. “I think my mum and girlfriend took it a lot harder than I did, but they were always there supporting me and I’m just so grateful for all the hours. I know I’ve said ‘support’ a lot in this conversation, but that’s exactly what it was.